If a couple who are married to each other who have bought a French property en indivision wish to leave their interest to the surviving spouse, they cannot do so by their wills because under French succession law, each person must leave at least a portion (the ‘reserve’) of their interest in the property to their own children. That portion will depend on the number of their children. The spouse who dies first can either leave a usufruit to the surviving spouse and the interest at the termination of the usufruit to their children equally or the reserve to their children and the difference between the reserve and the remainder (the quotité disponible) to their spouse outright. If those children are minors who do not live in France, some notaires may raise issues on a sale if the surviving spouse wishes to dispose of the property whilst any of the children are minors. Notaires who are instructed to sell the property following the death of the first spouse in these circumstances are sometimes doubtful about how that can be achieved. It is established law that questions as to the correct representation of the children and the legal capacity of the representative to agree to the sale, is to be dealt with under English law. Sometimes, the notaire seeks “guidance” about how that should be achieved from a body called the CRIDON who has relied on advice given to them by a French qualified barrister who appears not to be a qualified English solicitor or barrister, who is thus not able to advise on English law. That advice, given in two articles, is that it is always necessary for an application to be made to the Chancery Division of the High Court in England for a Court Order authorising the sale under the Court’s inherent jurisdiction, at a potential cost (it is stated) of £15,000 and a potential delay of up to six months. It appears to me that these articles contain various factual and legal mistakes such that the CRIDON and the notaires whom they advise, should not be relying on this faulty advice. It is suggested that following the correct rules of English law, in certain circumstances, it may be possible for a sale to proceed without an application to the High Court. French law does not generally recognise trusts and usually treats the trustee as the legal owner. However, for the purposes of a will in English form, where the property is left to the executors on trust for minor children, the CRIDON says that for the purposes of the French rules of succession in respect of the reserve, the trust is “transparent” such that they will recognise that property left in trust to the infant beneficiaries under that English will, if within the “reserve”, meet the requirements of French succession law. However, it would seem that, if for the purposes of the correct representation of the children and the representative’s legal capacity to agree to the transaction is to be dealt with under English law. It should therefore follow that because English law would recognise both the capacity of the executor/trustee to act on the minor child’s behalf and has the relevant capacity to do so, it may be possible to persuade the notaire that, following English law in these two respects, the executor/trustee has power to conclude a sale of the interests of the minor beneficiaries on their behalf by a certificate by a qualified English lawyer as to the rules under English law applicable to the correct representation of the minor and the authority of the representative’s capacity to act under English law. One other alternative, if the notaire is not convinced by that argument, is to make an application to the County Court under section 53 of the Trustee Act 1925 for an order for sale. It has been suggested by the author of the article on which the CRIDON relies, that this section in the Trustee Act is not appropriate to deal with the interests of the minors because that Act deals with ‘an infant’s beneficial interests because French law does not recognise trusts.’ Clearly for the purposes of English law, the child does have a beneficial interest in the French property (as well as a legal interest in the property under French law). application may be made to the Court under s.53. I also believe that the author is mistaken in stating that an application can only be made to the High Court. For some years now, all actions can be commenced in the County Court, a fact of which the author (advising as he purports to do on English law) seems unaware. The author has accepted in correspondence with me that he has never considered whether the County Court would have jurisdiction to determine such an application and that he would need to take advice from a barrister on this. The fact that the author is unable himself to consider this point, seems to suggest that CRIDON should not be relying on his advice on what is the Law of England in these matters. 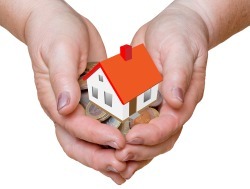 We may be able to assist you with matters relating to the issues raised in this article. 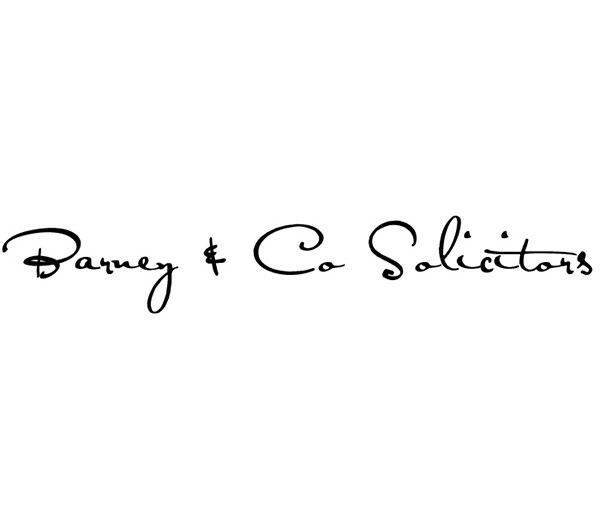 Please contact David Barney on 01458 270 296 or email david@barneysolicitors.co.uk or write to Barney & Company Solicitors at The Old Vicarage, Vicarage Lane, Somerton, TA11 7NQ to discuss your requirements. this article are the views of the writer which may or may not be accepted by Notaires in France or by the Courts of England.